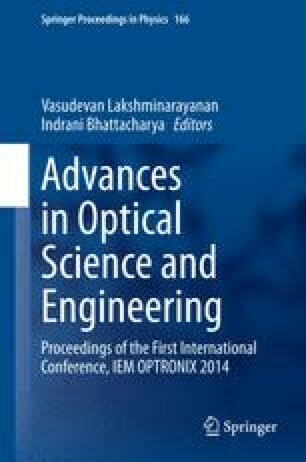 The core optical functions of most optical/photonic systems are performed by a lens system. The design of such lens systems involves satisfying a set of objectives by means of a set of degrees of freedom provided by the construction variables; often each of the latter has specific physical and/or manufacturing constraints that need to be taken into account. Mathematically, the problem can be formulated as a problem of multi-objective nonlinear optimization in a constrained multivariate hyperspace. The large number of objectives as well as the large number of degrees of freedom even in case of a moderately complex problem precludes the direct use of any global optimization algorithm. In order to circumvent the limitations imposed by this ‘Curse of Dimensionality’, a prophylactic strategy for global synthesis of lens systems can be adopted. The strategy is likely to provide globally or quasiglobally optimal solutions for practical lens design problems. An outline of the strategy is reported.